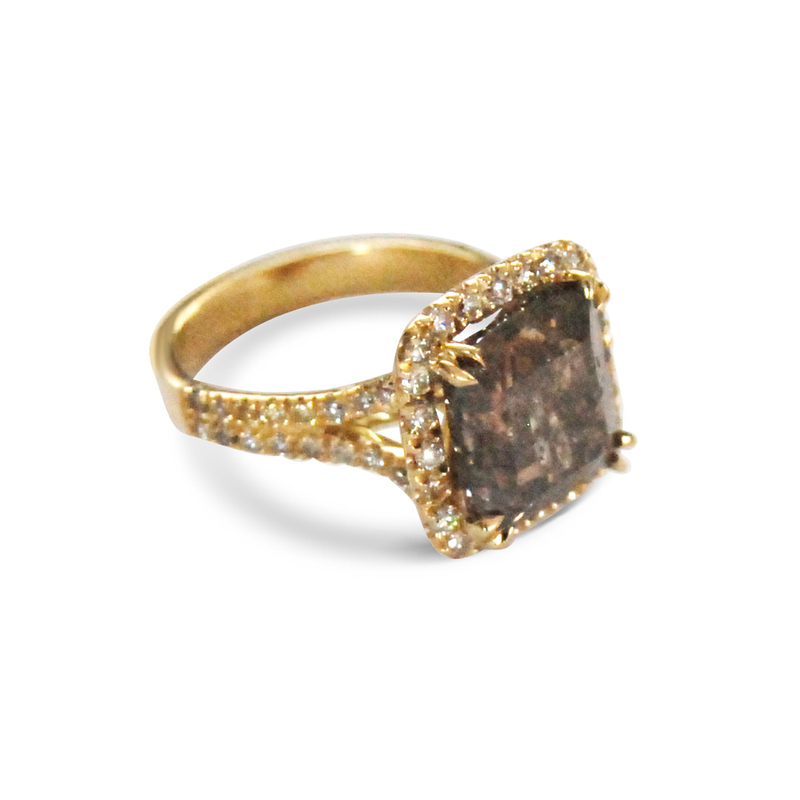 Bespoke design for Brown Diamond Cluster Ring. Contact us to commission bespoke fine jewellery. Bear Brooksbank jewellery made is in London. Bespoke cushion-shaped highly included brown diamond ring, with a cut-down diamond cluster surround and spilt shank and mounted in 18ct yellow gold.